Pelenna Patchworks: New Art Gallery Fabrics prints now in! Uploaded to the website today, we have a brand new range of prints from Art Gallery Fabrics, the Floral Elements patchwork fabric collection. These are bright, fresh blenders with a large floral motif on solid colour backgrounds, perfect for modern quilts and room decorations! 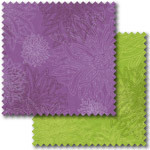 We have also expanded several other ranges with the addition of new prints, including the Art Gallery Fabrics Nature Elements, Art Gallery Fabrics Oval Elements, two new florals in the Makower Emma's Flowers range and a fun new quilt panel in the Makower Space collection - don't forget to order before 12 for same day delivery!